This should be common sense, or at least common sense to a marketing or public relations agency, but apparently it’s not. Do NOT put people onto email lists that you think might be interested in what you are trying to sell – be it a product, service, or news updates. In the last few weeks, I must have been added to three or four different email lists for companies wanting to spread the news about gTLD domain names. It’s one thing if a company emails me to ask me permission to be put on an email list (although some would argue that’s spam), but it’s another thing to just add someone and assume they are interested. Personally, I feel that an email request sure beats getting added to an email list, and it shows me that the sender actually respects my time and the CAN SPAM laws in the US. I also want to add that people should be sure to have an easy opt-out link on the email in case the person decides to opt out of receiving emails from the list. I get enough emails every day as is, and I only want to receive marketing emails that I choose to receive. Incidentally, one of the public relations companies that added me to their email list not only didn’t have an opt-out link on the email, but also kept me on the email list even after acknowledging my opt out request. This is not a good way to do business, it doesn’t do the client any justice if they aren’t aware of the tactics, and it’s likely against the law. On Saturday, I posted an article about my new baby registry website, and a few people had follow up questions about the development process and marketing the site. This morning, I want to discuss how I plan to market and promote the website. I have quite a few projects/websites on my plate that I actively market and update, including this blog, DogWalker.com, DogGroomers.com, and Lowell.com. This takes up a fair amount of my time. I believe that with BabyRegistries.com, my marketing efforts will be quite a bit different, and they will be less time consuming. Social Media: I set up a Twitter account, and I will be getting in touch with and follow people who mention baby registries in their updates. I will encourage them to sign up for a free account and stress that setting it up is easy. I will stress the idea that it makes it easy for friends and family to find and buy gifts that are needed. Networking: Although it would probably be most effective to do in-person networking, I don’t have the time or desire to do that. The site wasn’t a huge investment, and it will be more of a passive time investment. That being said, I plan to introduce myself and the site to mom bloggers and pregnancy websites. I had quite a bit of positive feedback from friends who recently had children, and I think the service will be something other bloggers will want to mention. Word of Mouth: This is going to be the biggest driver of traffic. New and expecting moms love to discuss tips and helpful websites, and if they find the site beneficial, they will tell friends. In addition, as more participants send out emails to friends and family to let them know about their pages, others will sign up. Search Engine Marketing: I will be making ad buys on Google and possibly Bing to drive traffic to the site. I will also try to buy advertising on some of the leading mom websites to let them know the site exists. Contests: I may run a few contests to get people to sign up and post their registries. For instance, I may do a drawing for a $100 gift card to Babies R Us or Diapers.com for people who sign up. The tough part of this will be spreading the word about the contest and knowing legalities of running a contest like this. Most stores are only focused on their own baby registries, and they likely won’t be interested in co-marketing efforts. Similarly, many baby websites offer similar (albeit different approaches) services on their own websites, so it will be difficult to forge relationships with the larger sites. BabyRegistries.com is a much different type of site than my other websites. I won’t be responsible for driving traffic to the baby registries contained within the site. Since random people won’t be buying gifts, it’s up to the expectant parents to send their friends and family to their page. This means my focus needs to be 100% on awareness so expectant parents sign up and create registries. I feel that this should lead to somewhat of a snowball effect. The more people that learn about and use the site, the more it will grow. I think it’s easy for expectant parents to create pages, and it certainly is easy for friends and family to see all of the registries. If friends and family find it easy to use, they will likely use it themselves. As such, marketing this site is far different than my other sites. What are your thoughts on my next steps and marketing ideas? I was watching the Boston Celtics beat up on the New York Knicks yesterday afternoon, when I saw a preview of a new television show on ABC. “Happy Endings” is a modern comedy starring Damon Wayans Sr. and Damon Wayans Jr. If you’d like, you can read more about it on ABC’s website. The term “happy endings” has a sexual connotation (Google it), and the HappyEndings.com domain name has been owned since 1996. Luckily for ABC, HappyEndings.com is owned by a Oklahoma City book store called Happy Ending Books, and the website hasn’t really been developed. Similarily, HappyEnding.com forwards to a tribute website rather than something more pornographic. As you can see from the Compete statistics, GreysAnatomy.com and SharkTank.com both have (moderate) traffic spikes when the shows are in season, despite not being owned by ABC or their respective production companies. 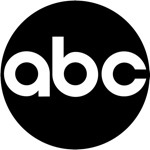 I have no idea whether ABC considered the usage of HappyEndings.com before finalizing the name of the new television show, or if they tried to purchase the domain name, but they’re very lucky it’s not an adult website. Judging by the NY Times review of the show, it was probably a very smart move not to purchase this valuable domain name. I’ve been a longtime Verizon Wireless customer, and I am very excited to hear the iPhone news because I will almost certainly upgrade when I have the opportunity. I got my first Verizon cell phone back in 1994 or 1995 when I was a sophomore in high school. Over the years, I’ve had small issues with various phones and plans, but they were generally worked out in store or over the phone. In July of 2002, I had an issue with a LG flip phone. The store wasn’t very helpful, nor was the customer service phone line. It would have cost roughly around the same amount of money to cancel my contract than to buy a new phone, and I was ready to switch carriers out of frustration. “Thanks for taking the time to write me re: your frustrations with your phone. Let me assure you that your lack of satisfaction is my business, whether it’s a marketing issue or not. Your allowing us the chance to make it right is fully appreciated. I’ve copied Rich Meigh, our VP of Wireless Devices, on this message. I’ve asked have someone contact you directly to resolve this problem as soon as possible. You’ll hear from us within 24 hours. As mentioned earlier, it is now around 8.5 years after this email exchange. This is approximately 102 months, and if you figure I’ve paid in the vicinity of $70/month for that period of time, that email has generated somewhere north of $7,000 in revenue for Verizon Wireless, not including the cost of devices and that my wife also switched to VZW a few years ago from AT&T. This really has nothing to do with domain names or domain investing, but it’s a testiment to the value of great customer service and going above and beyond a job description. Mr. Stratton could have easily not responded or simply apologized, but he didn’t, and his company has benefited from my continued loyalty. Today, it is no surprise that Mr. Stratton is the Executive Vice President and Chief Operating Officer of Verizon Wireless, and I am a happy Verizon Wireless customer. By now, you have likely seen the famous Tiger Woods Ryder Cup photograph, with the ball in mid-air heading right for the photographer, and an interesting-looking guy smoking a cigar in the background. In case you haven’t seen it, the image is above for your viewing pleasure. Despite the shot looking cool, as the ball was headed directly for the camera, the real story became the hunt for the guy smoking the cigar. Dubbed “Cigar Guy,” the Be Frugal blog (BeFrugal.com) offered a $1,000 reward to whomever is the first person identify the person smoking the cigar. They are holding a contest because they want this guy to be their next spokesman. The contest and $1,000 reward have generated millions of dollars in publicity. News outlets including Huffington Post, NBC Sports, ABC, Wall Street Journal, and CNN are covering this special offer with news articles and reports, all linking to the BeFrugal.com website. What would essentially cost the company $1,000 has brought them priceless coverage. This is great viral marketing!